No Life 'til Metal - CD Gallery - Alive Facts! 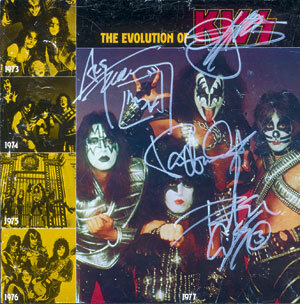 "The Evolution of Kiss" booklet, autographed. 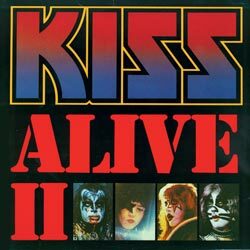 "Alive II" was released on October 24, 1977 and shipped Platinum. 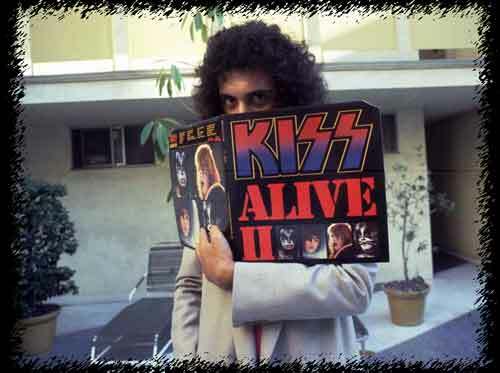 Eddie Kramer, who produced the first Alive album, Rock and Roll Over & Love Gun was brought in to produce "Alive II". 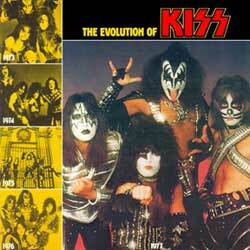 The Evolution of KISS book. 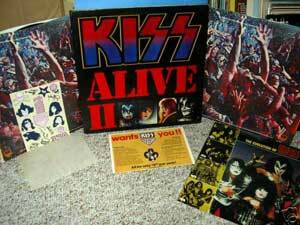 The original vinyl copies of "Alive II" came with tattoos and a booklet (pictured above) featuring live photos of the band. The image of the band that adorned the center spread of the booklet has a serious 'photo retouching' error. 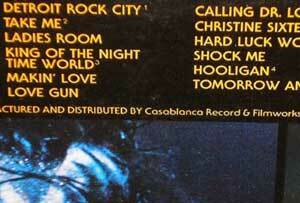 The error was not corrected in the remastered CD version that includes all the photos as part of the CD booklet. If you look carefully you will see a part of Paul's guitar headstock floating in the air around the mic stand. A couple of the songs were not played live. 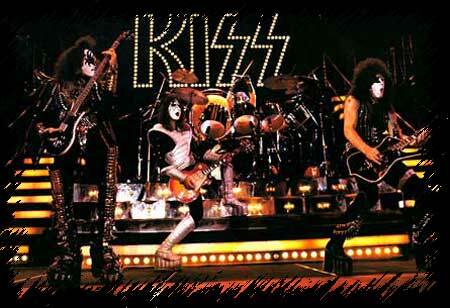 According to Gene Simmons in Kiss-Behind the Mask, "Some of the songs we didn't do live, they were some afternoon recordings done at sound check with "Hard Luck Woman" and "Tomorrow and Tonight." 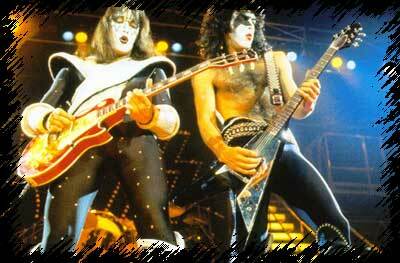 Ace Frehley only played guitar on one of the four studio cuts on side four of the two record set. Ace plays on his own "Rocket Ride", which also happened to be the most popular of the studio cuts. 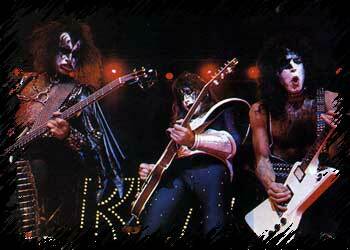 "Rocket Ride" peaked at number 39 on Billboard's Top 100, making it KISS's seventh Top 40 hit. Bob Kulick played lead guitar on the other three of the four studio tracks. According to producer Eddie Kramer an entire live album was recorded in Japan at Budakon, but the band and Eddie didn't feel the performances were good enough, so the album was never released officially. This was mostly due to the band concentrating on jumping around stage and putting on a show. Because of this, sometimes the music would suffer a bit. 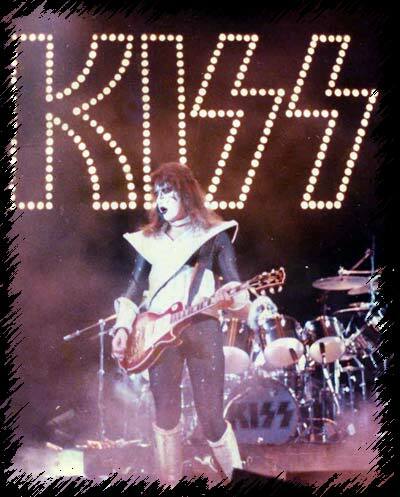 "Rocket Ride" was originally written for Ace's solo record, but the band needed material for the fourth side of "Alive II" so Ace kicked in this song. The song was written by Ace and Sean Delaney. 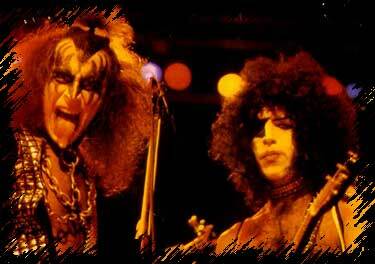 Ace wrote the riff, Delaney came up with the lyrics and vocal melodies. There exists a promo version of this album which includes "Take Me", "Do You Love Me", and "Hooligan" on the track listing of the back cover. This is extremely rare with only around 50 copies making it into circulation, though in addition to the US version, some Mexican copies also have a similar misprint.